A Choice of 6 Beautiful Candles: Baked apple pie, cucumber melon, orange spice tea, pomegranate, sea mist and lavender and warm home. Each candle burns up to 75 hours. Sell $10 scented candles! You'll find many of your supporters will buy 2 or more candles at a time. These scented candles are made with the upmost care and quality ingredients. For example, the baked apple pie is made from a recipe of apples and gentle spices captured sweetly with accents of vanilla. The sea mist and lavender candle offers a clean reviving fragrance inspired with peony, water lily and relaxing lavender. 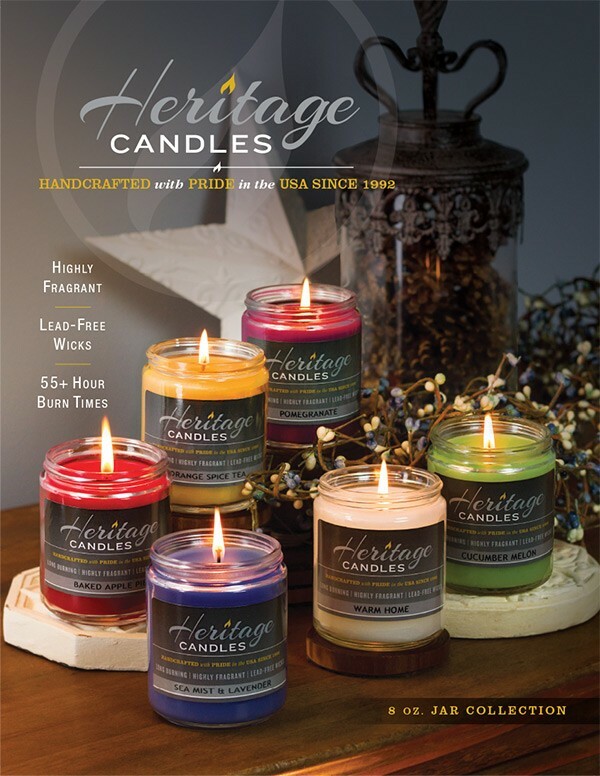 All candles are hand-poured right here in the USA. Optional: You can tag this $10 candle fundraiser with most of our other candle fundraisers, in order to offer your supporters even more selection. FREE to Start: The $10 candle fundraiser program costs absolutely nothing to get started. Simply let us know how many fundraising participants you have and we’ll send 1 order-taker for each of them, at no charge. How Does the $10 Candle Fundraiser Work? 1. 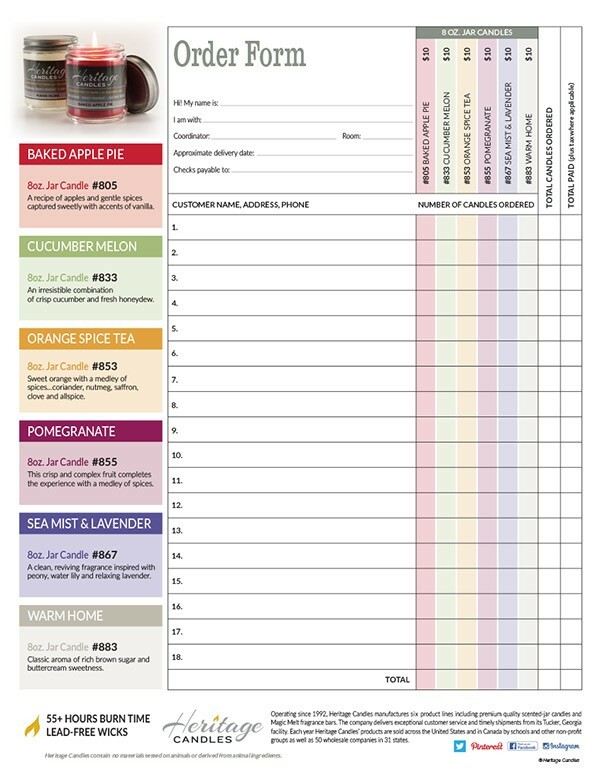 Order 1 $10 Candle order-taker PER fundraising participant – they’re FREE of charge! These candles were so easy to sell! Our daycare raised over $900 profit for new playground equipment!